The arrival of cherries means the dreariness of winter is definitely over, and I can finally look forward to a long, delicious summer of fresh apricots, raspberries, nectarines, peaches, and plums. Once cherries became reasonable at the market this is a great way to use and preserve them when the price drops and when the season is in full swing, or nearing the end, I find myself using fresh cherries as fast as I can pit ’em. Although you might think it’s funny to candy fresh something fresh, there are times perhaps your cherries aren’t super-flavorful (like too early or too late in the season) and candying augments and intensifies flavor. And as a bonus, you’ll end up with a lovely brilliant-red syrup which you can mix with Champagne for a fizzy and festive kir Royale. Once candied, these cherries will keep for a few weeks in the refrigerator. 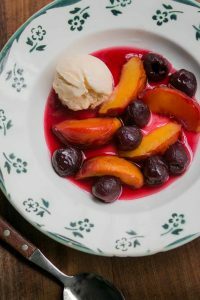 Spoon them over vanilla ice cream, stir them into yogurt, and toss them with nectarines or peaches for a summer cobbler. 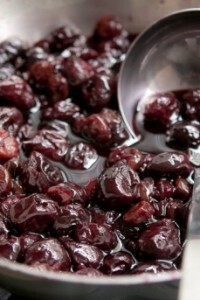 In a large non-reactive saucepan (at least 4 quarts/liters) bring the cherries, water, sugar, and lemon juice to a boil. Reduce the heat so the cherries are cooking at a low rolling boil. Cook for 25 minutes, stirring frequently during the last 10 minutes of cooking to make sure the cherries are cooking evenly and not sticking. 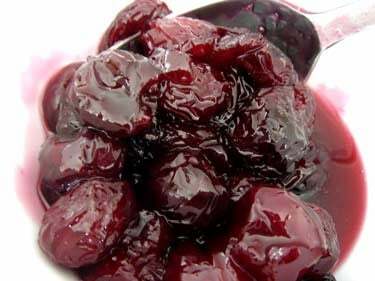 Once the syrup is mostly reduced and a brilliant ruby-color, similar to the consistency of maple syrup, remove the pan from the heat and cool the cherries to room temperature. After the cherries are cool, they can be refrigerated for up to one week, or frozen in zip-top freezer bags for up to one year. OXO Good Grips Cherry Pitter: Like all Oxo products, this one gets high marks from users. Leifheit Cherry Pitter: All-metal cherry pitter, popular in Europe. Leifheit Pro-Line Cherry Pitter: (I love that name!) This is a terrific tool if you have a lot of cherries to pit. Keeps the cherries in a container, so it’s less-messy to use than others. Glad you like our cherry pitters! 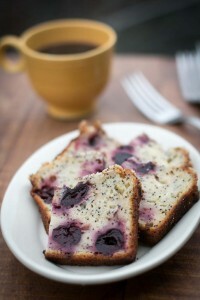 Do you think this would work with frozen tart cherries? I have a freezer full from picking this summer. Nancy: Yes, I use this technique with fresh and frozen cherries, both sweet and sour. It’s excellent! They were *fabulous*! We are just regretting having eaten the last of them stirred into Greek yoghurt yesterday, and are desperately hunting for more cherries before the end of the season. Note, I froze a large part of them because we were going away for a week, and they kept really well. This looks amazing enough to eat by the spoonful :) Question – can I put these in jars to preserve for long-term? lisa: I’ve not done it so can’t say for sure, but like most preserved fruit, it should work. If you’re an avid preserver, you might have a recipe or technique handy you could adapt for them. I’m wondering if you think this same method could be used for cranberries? I’d like to add some to your pear almond tart. Britt: I don’t know since I haven’t tried it. I suspect the cranberries might get too soft, but if you do give it at try, let me know how it turns out.